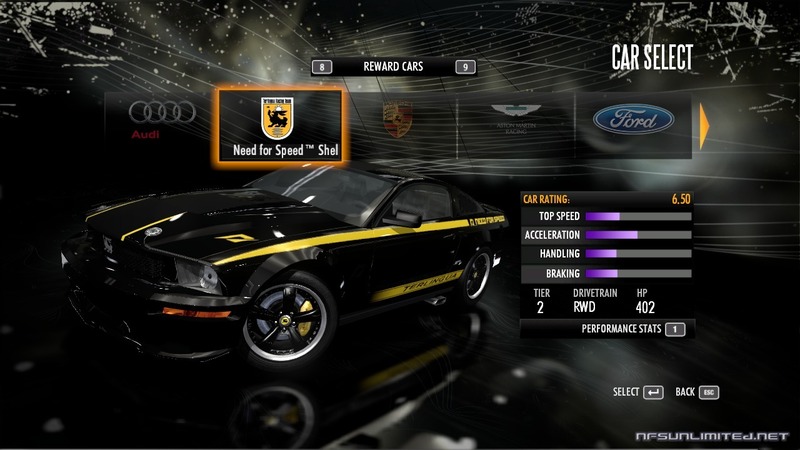 This is the official Need for Speed: SHIFT car list. 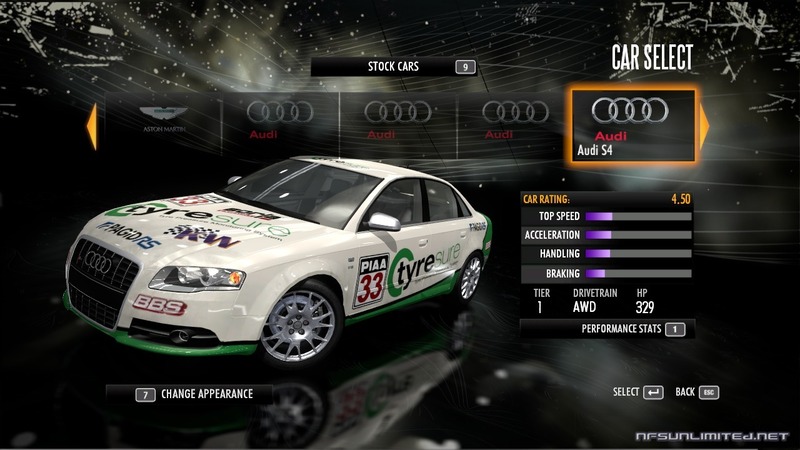 Be aware that not all cars can be used in Career. 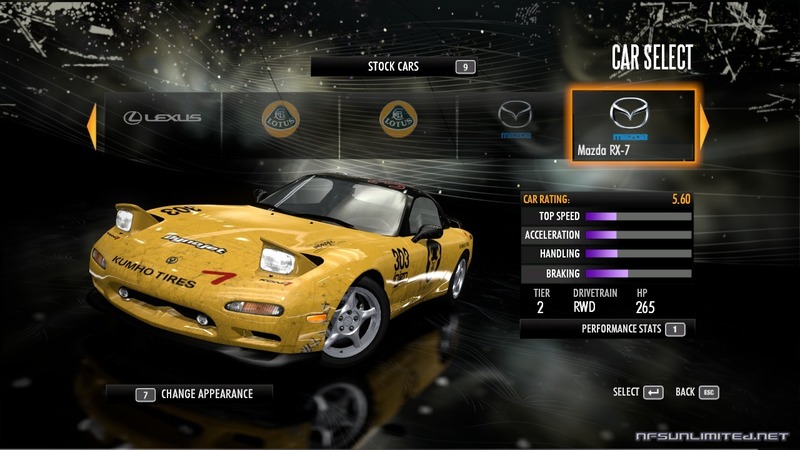 Some of them are special cars that work as a reward for levelling up or are awarded to the player after completing the NFS Live World Tour. 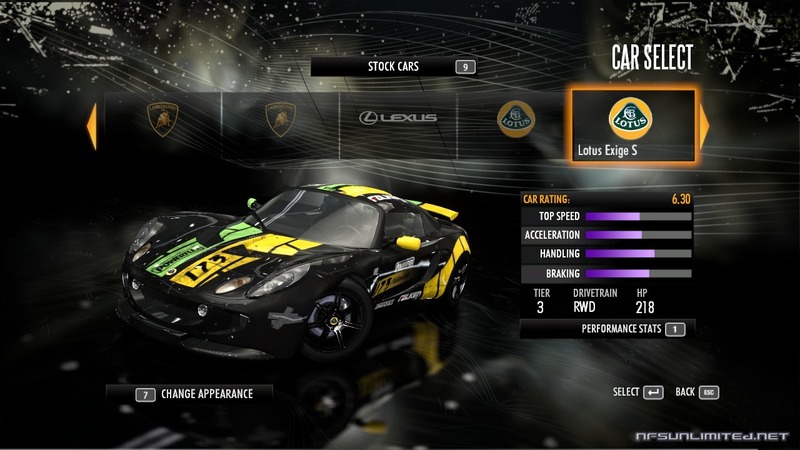 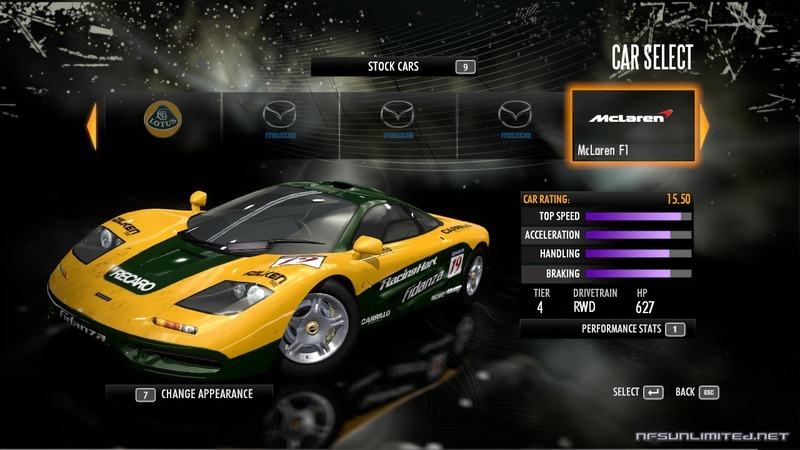 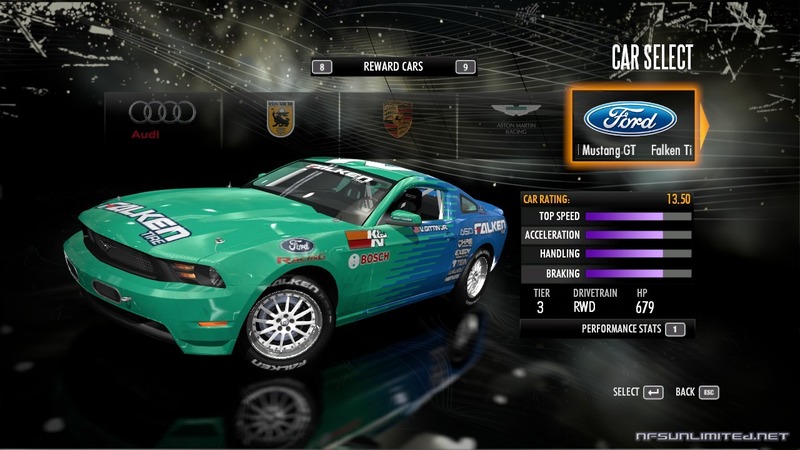 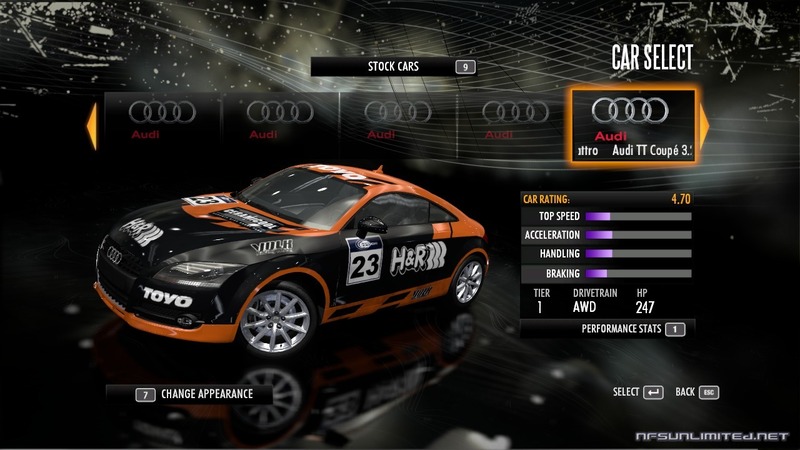 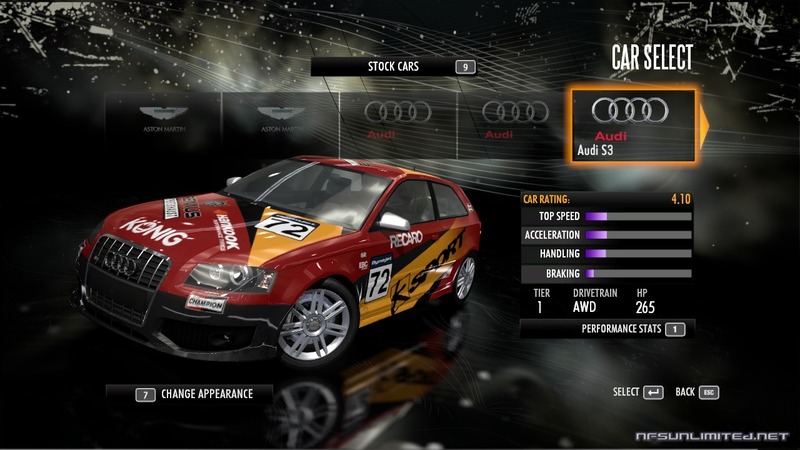 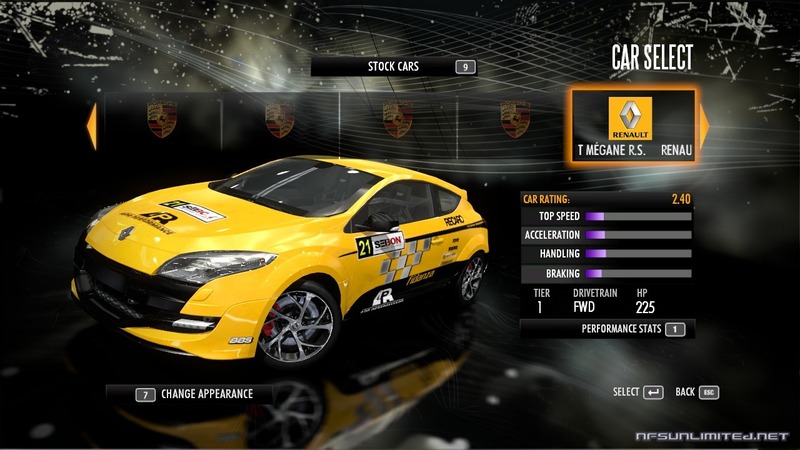 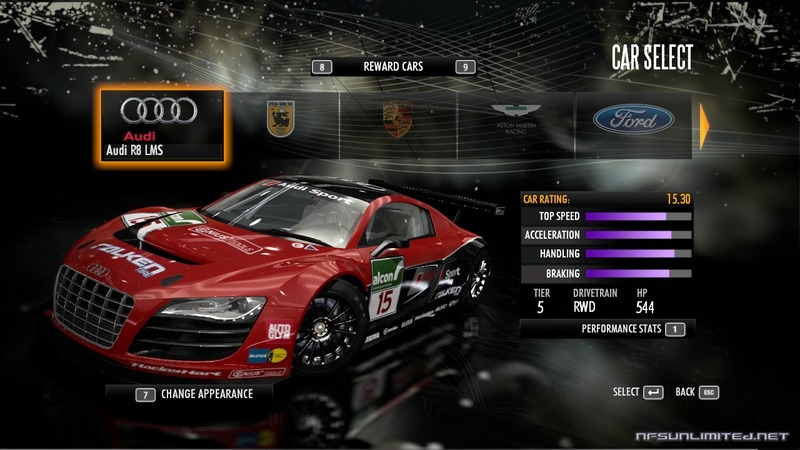 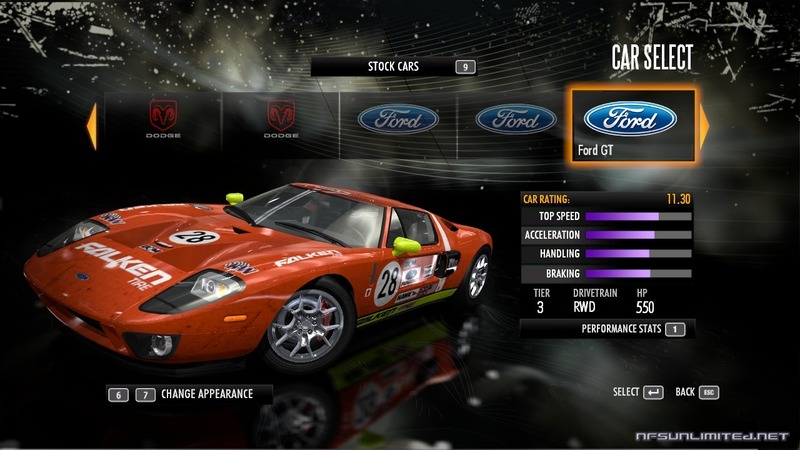 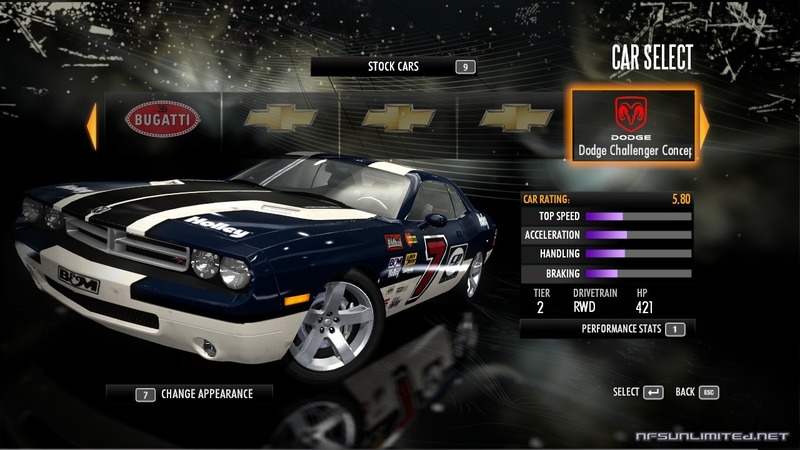 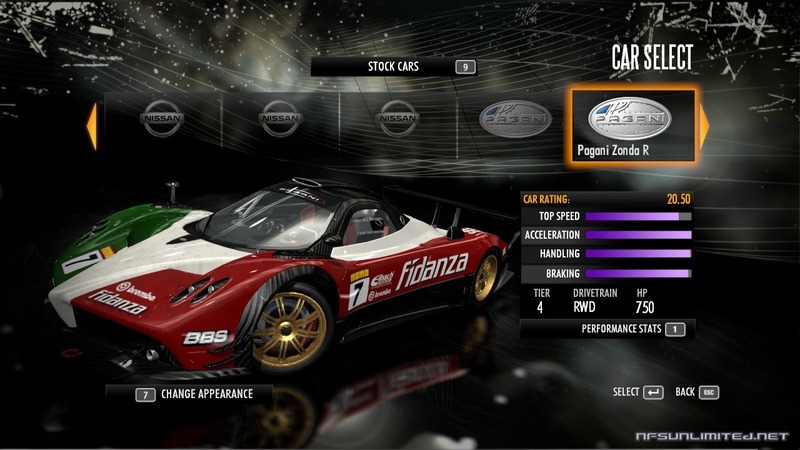 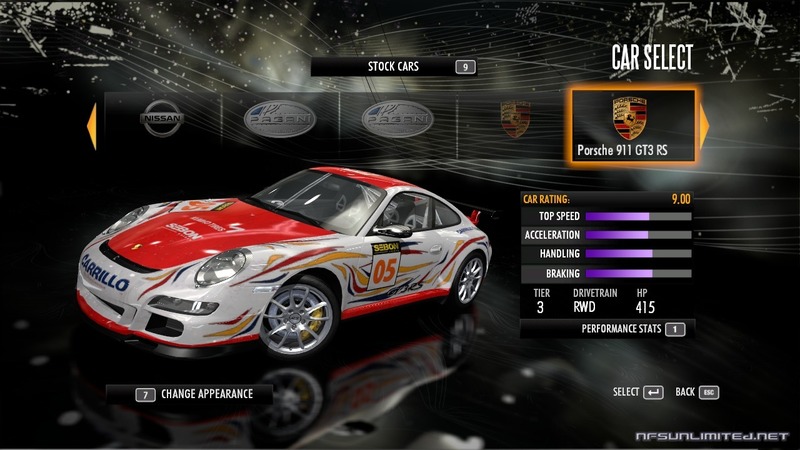 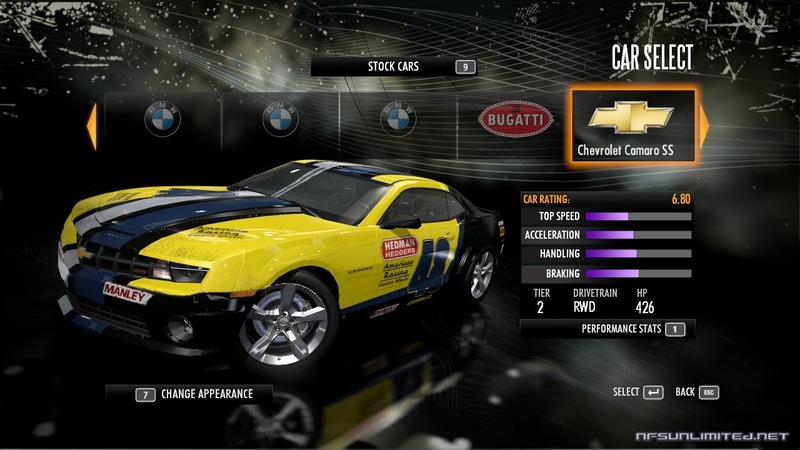 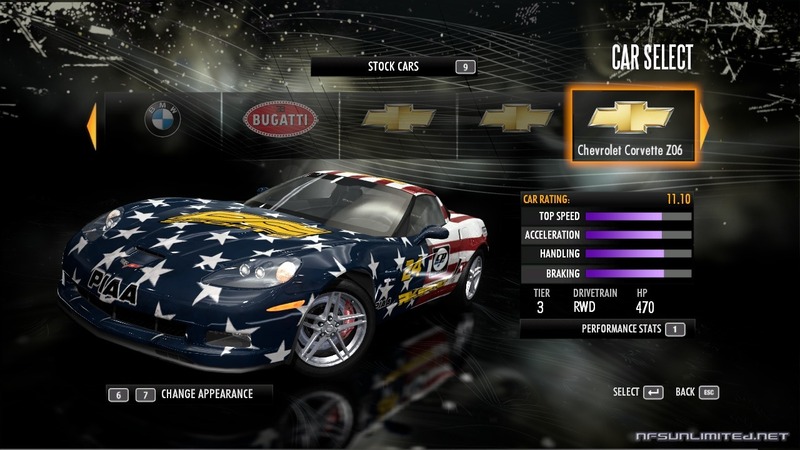 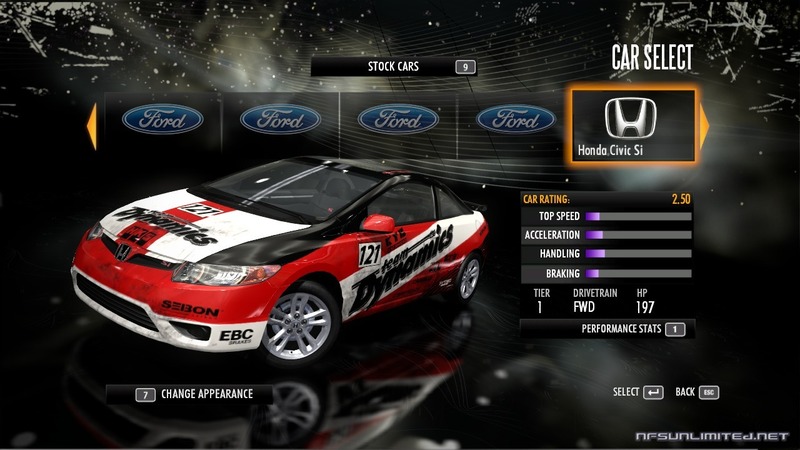 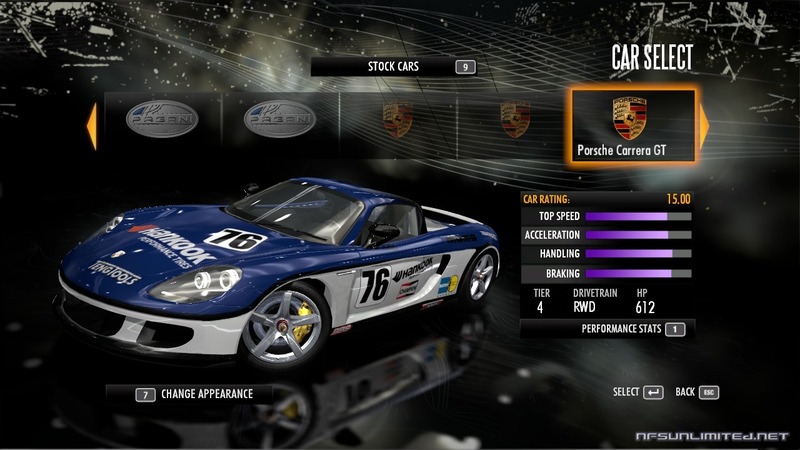 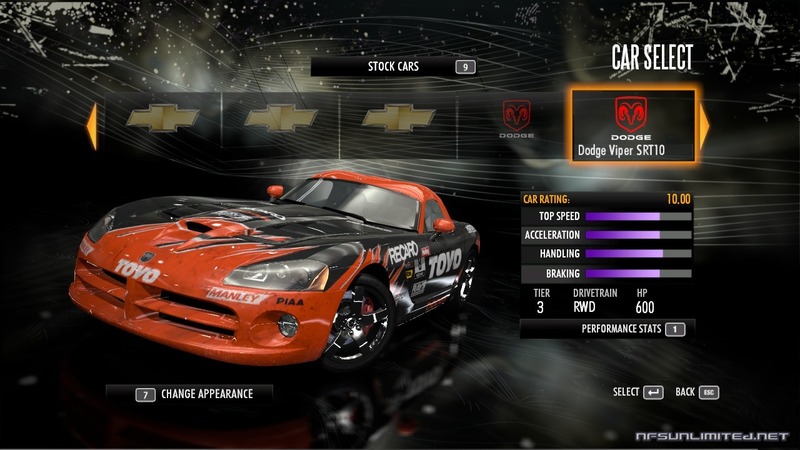 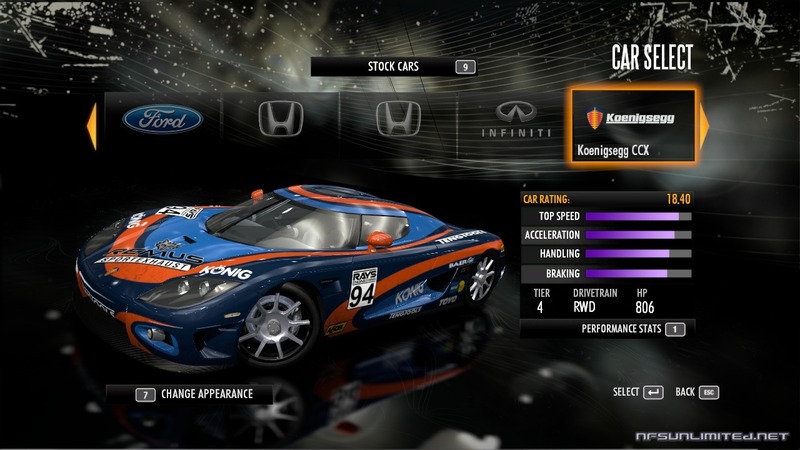 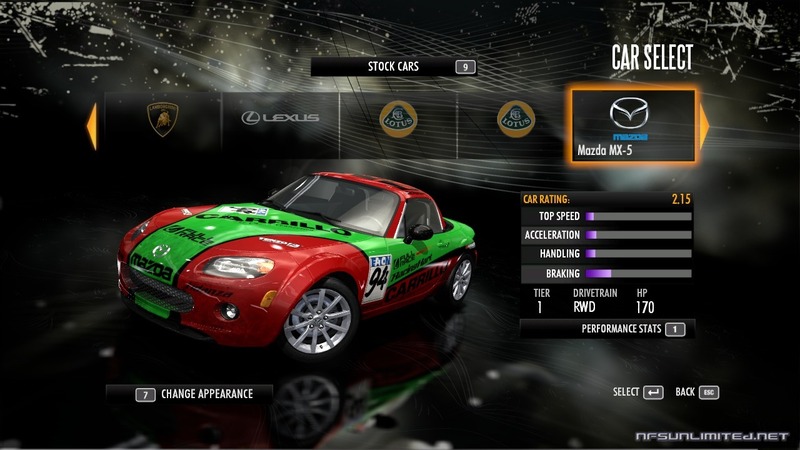 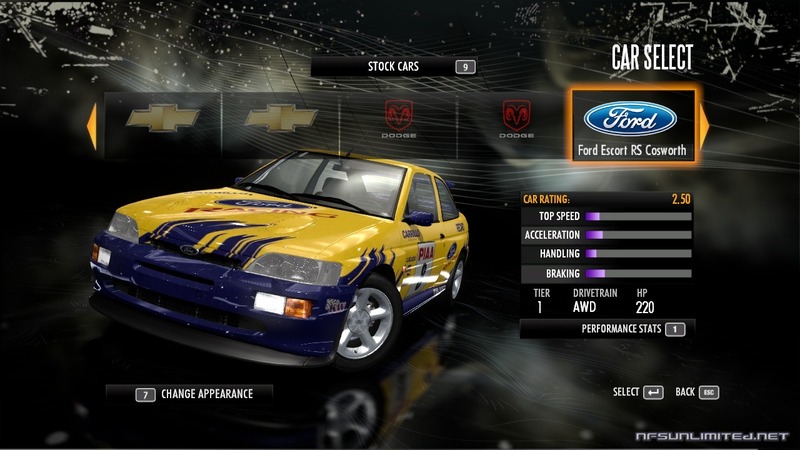 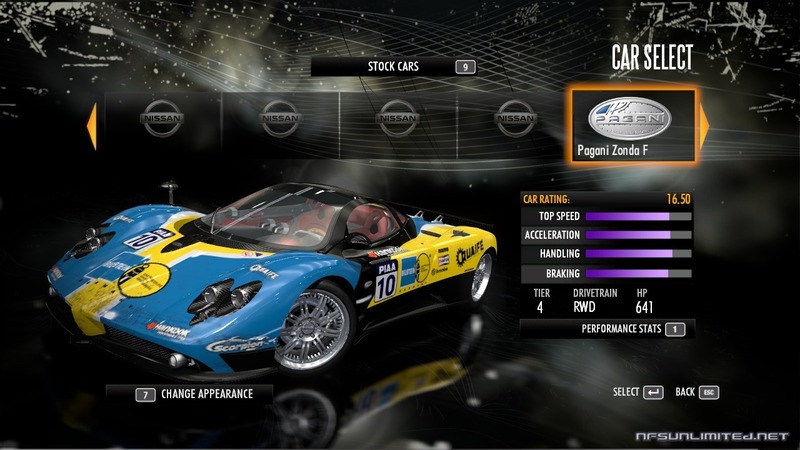 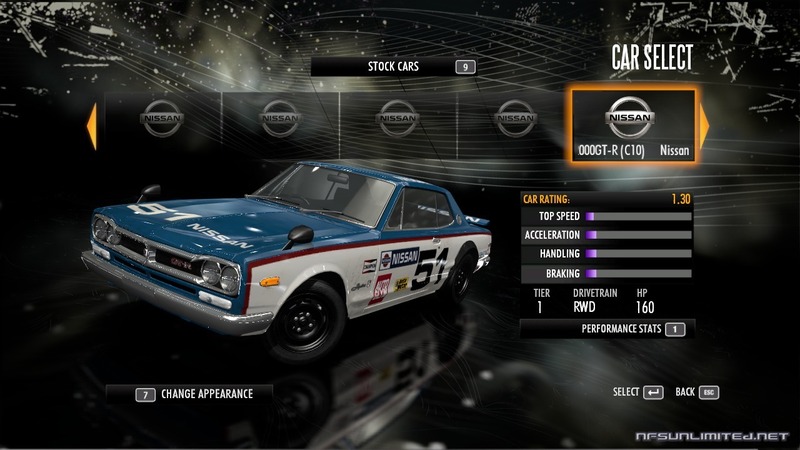 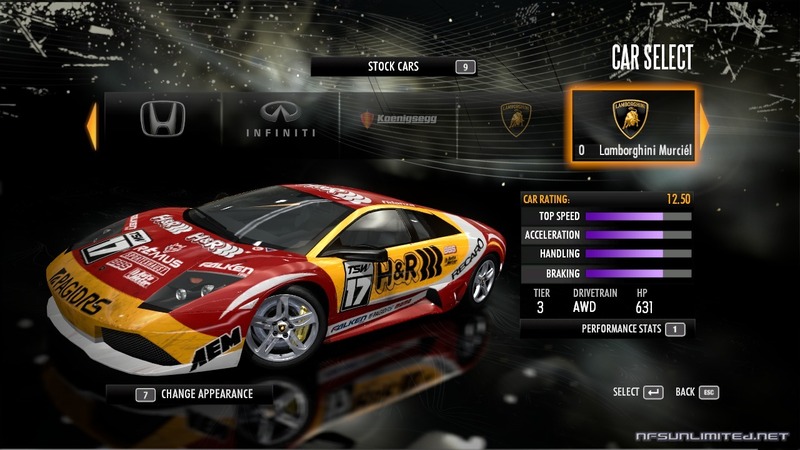 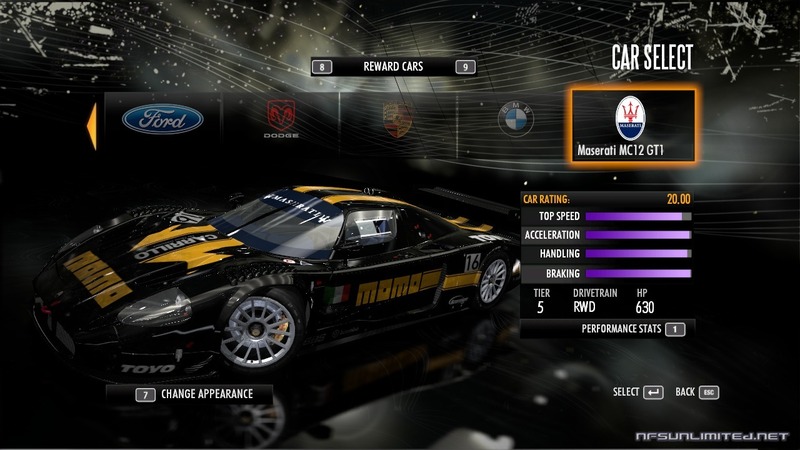 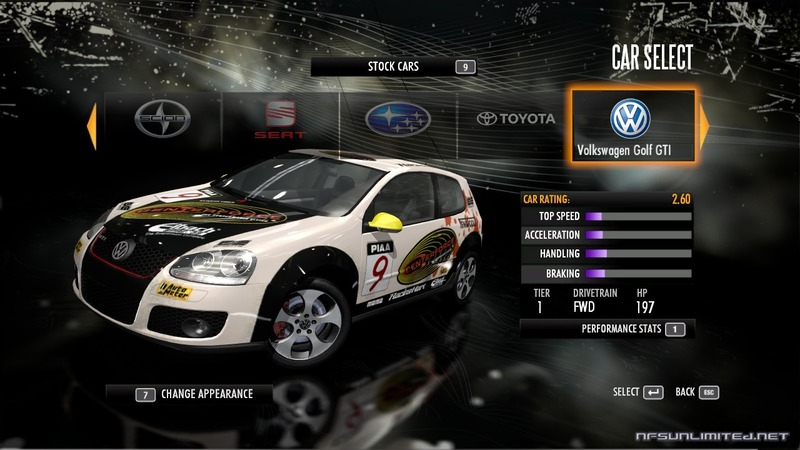 These cars are only available in Quick Race, and therefore they cannot be tuned. 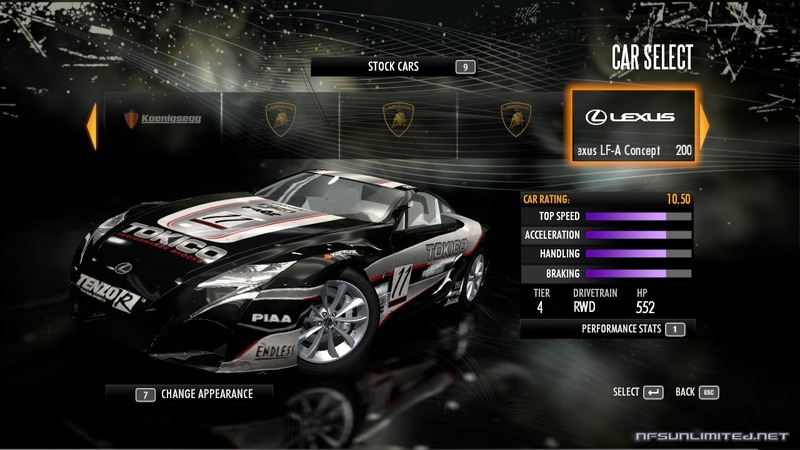 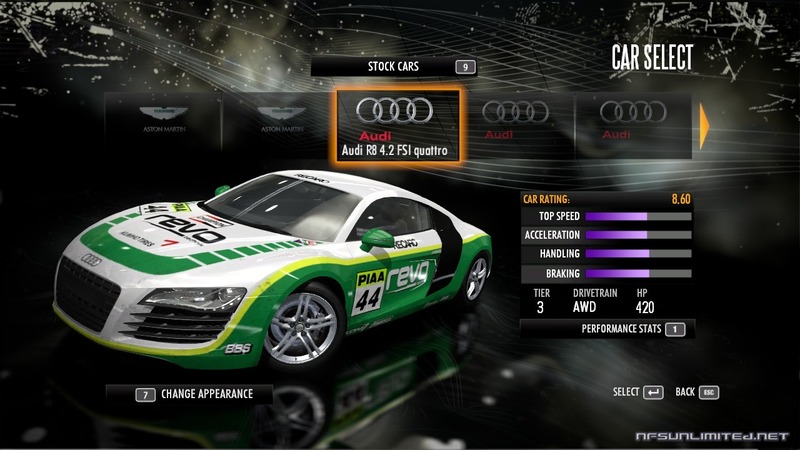 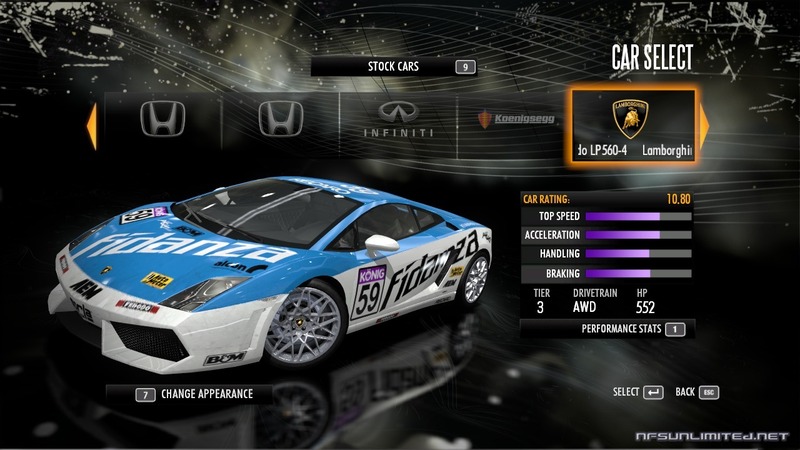 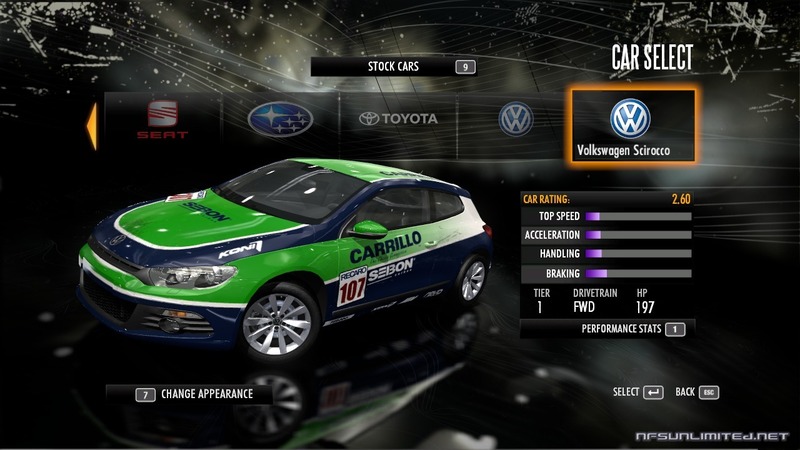 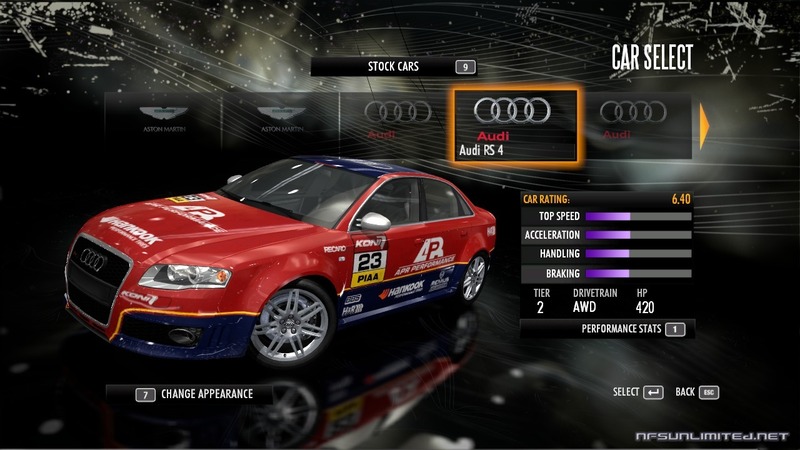 In the first list the cars are organized in Tiers and their stock and maximum (tuned) performance ratings are indicated. 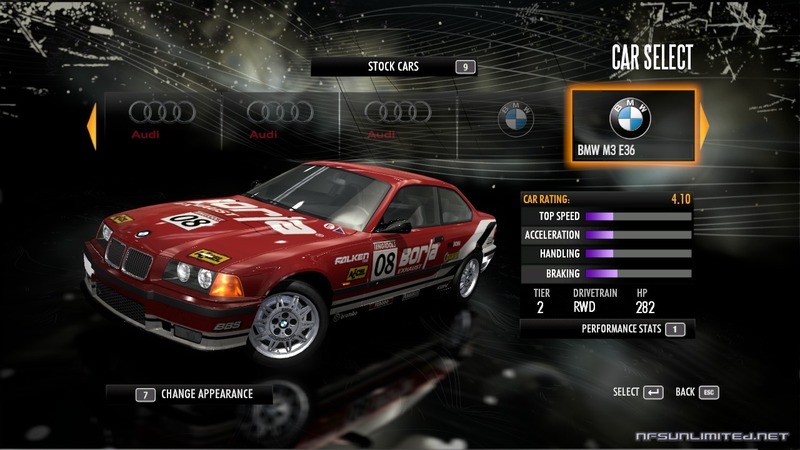 You can also see which the type of drivetrain each car has (AWD, FWD or RWD), which cars can be used for Drift and which cars can be Works Converted. 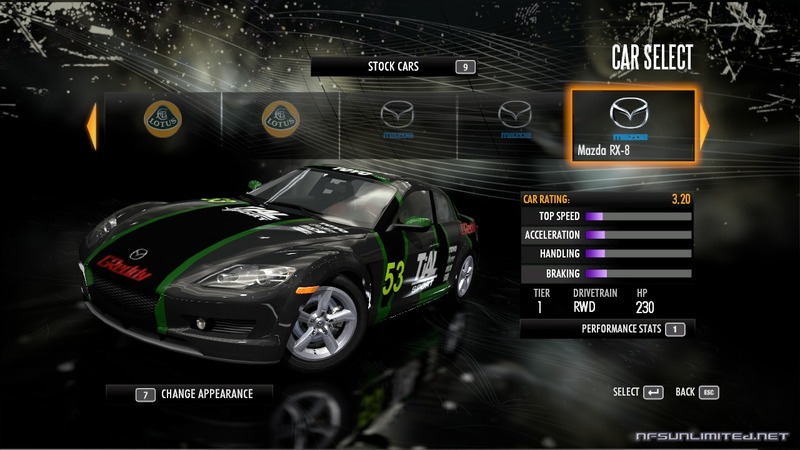 The second list shows all cars organized in alphabetic order, with an image of each one attached. 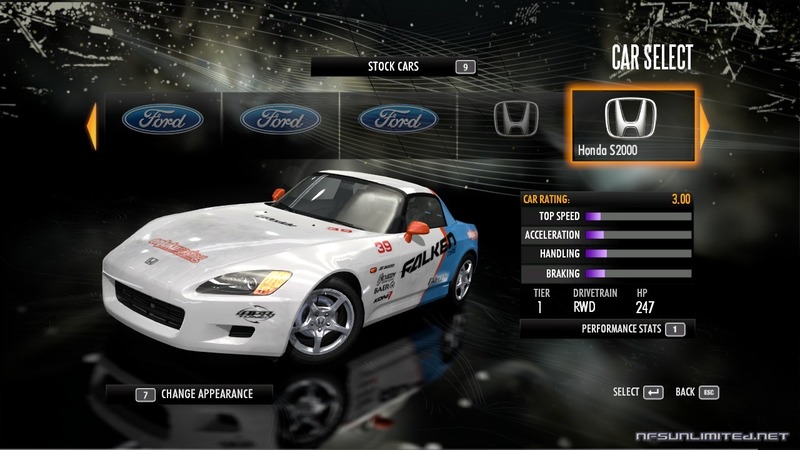 Can be bought, used and modified in Career. 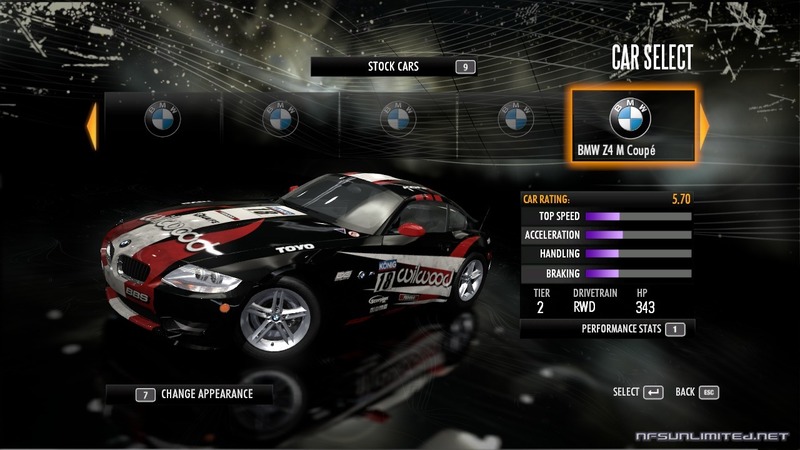 Cannot be bought, used or modified in Career. 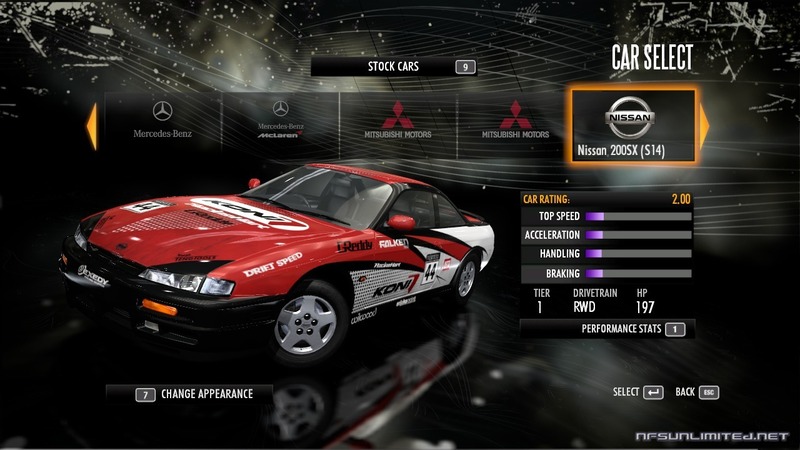 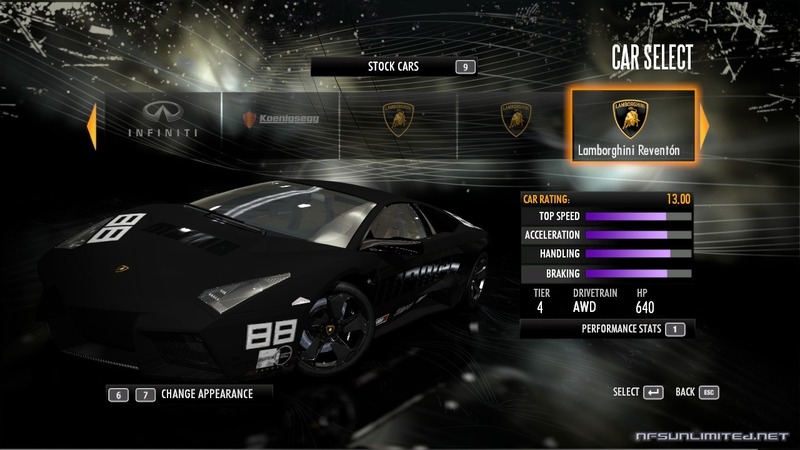 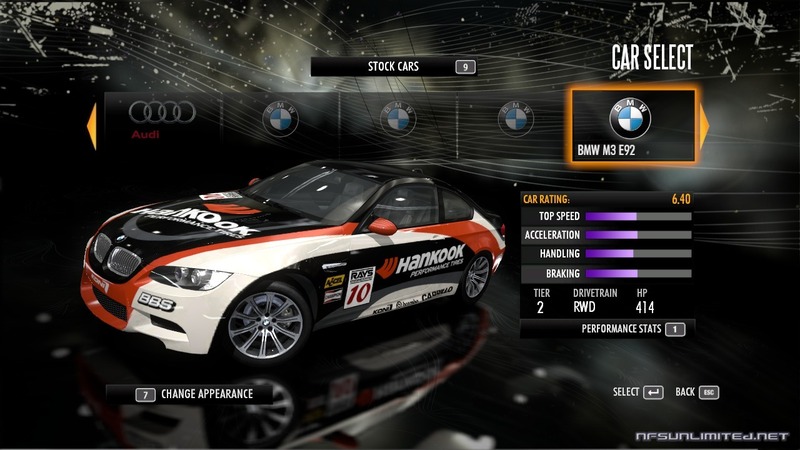 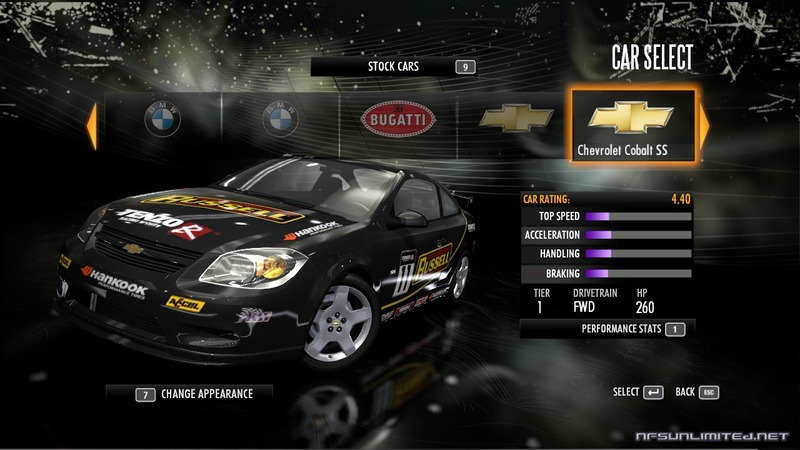 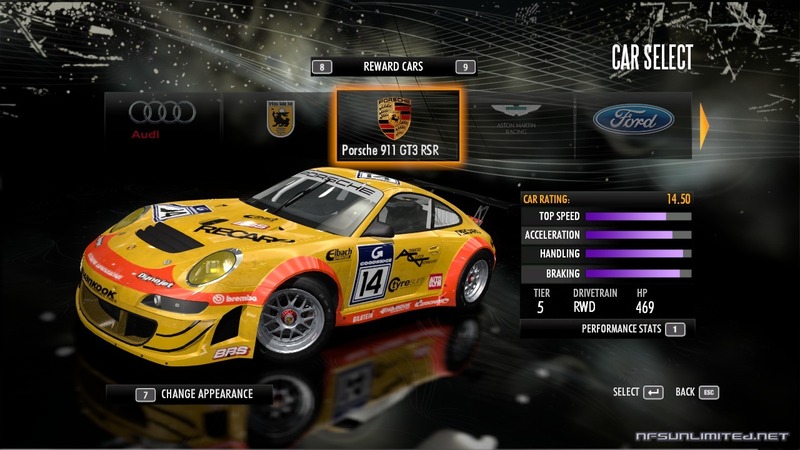 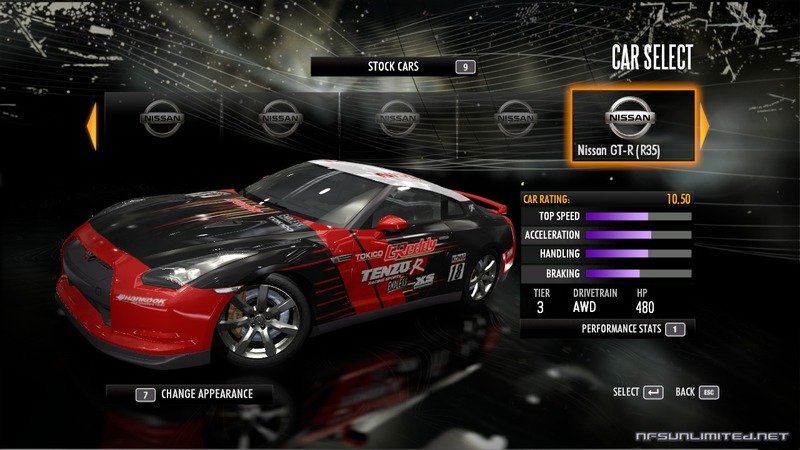 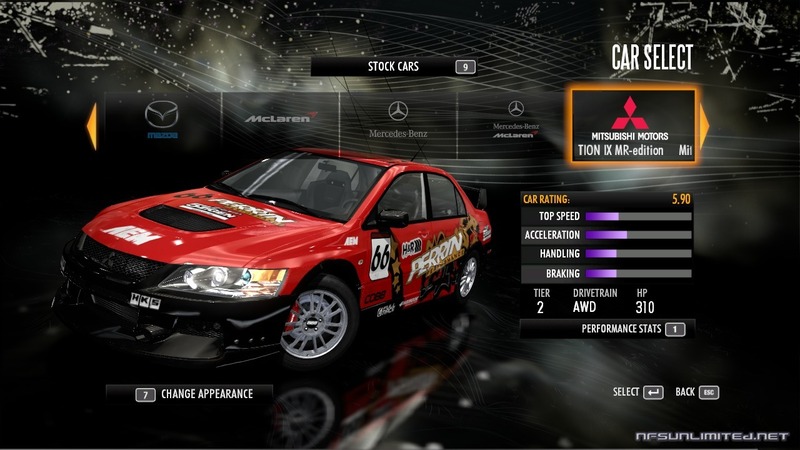 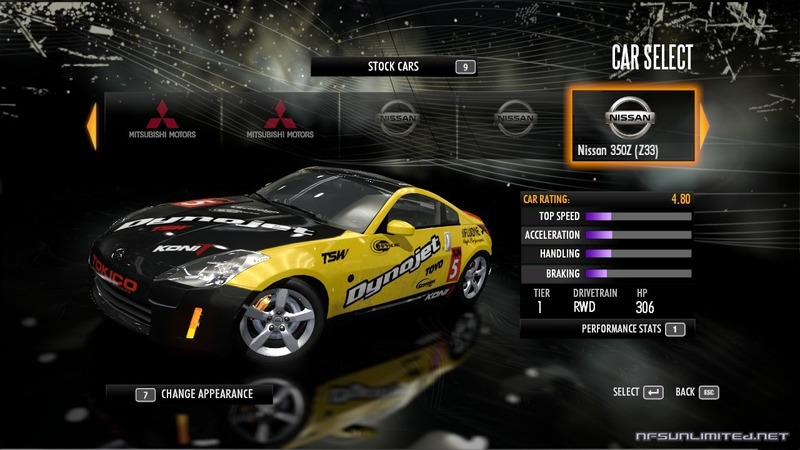 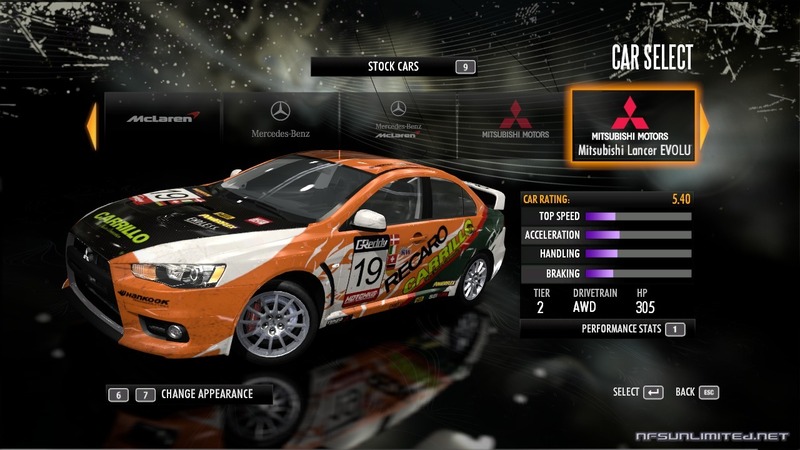 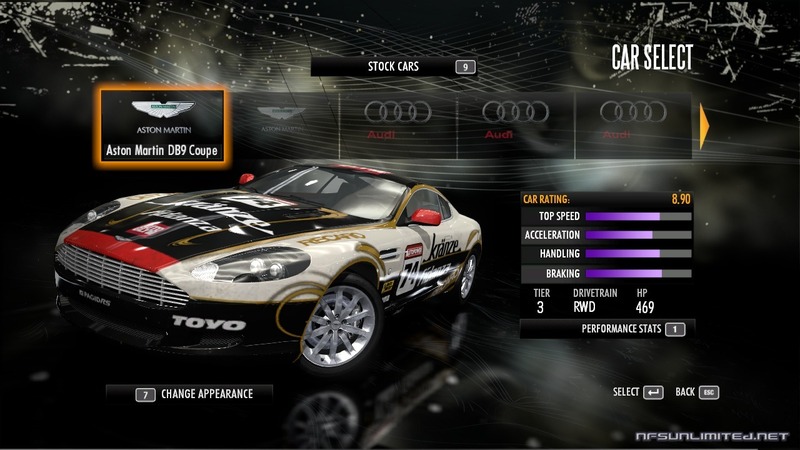 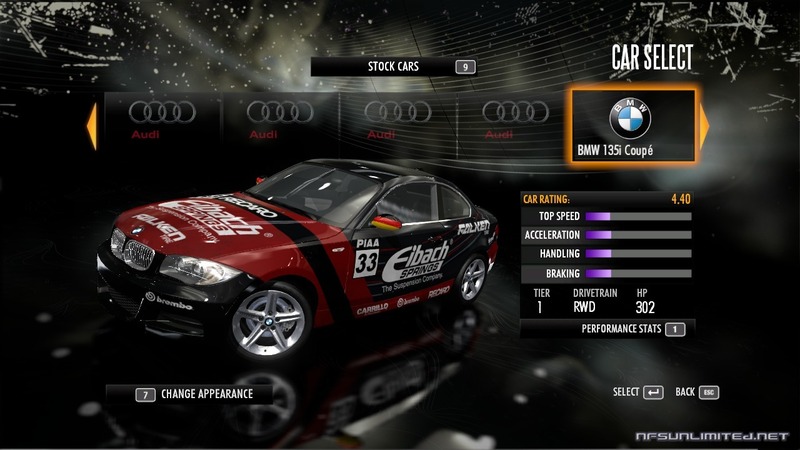 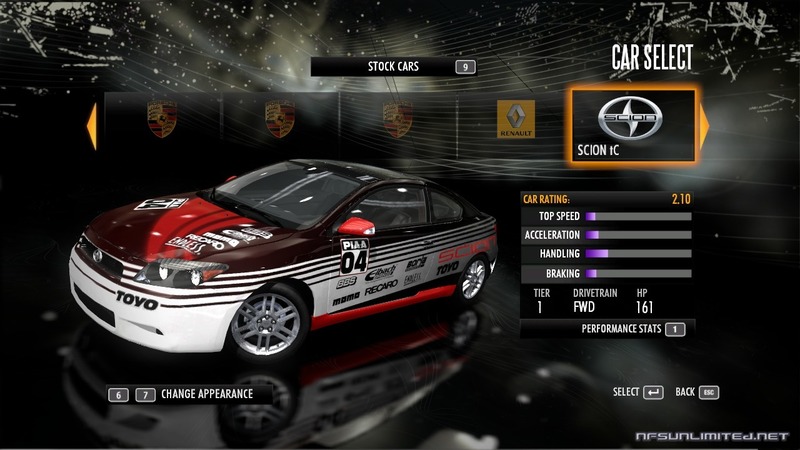 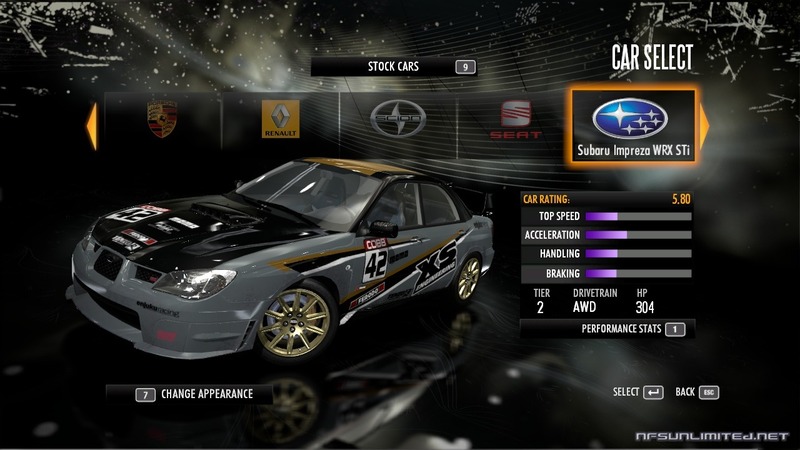 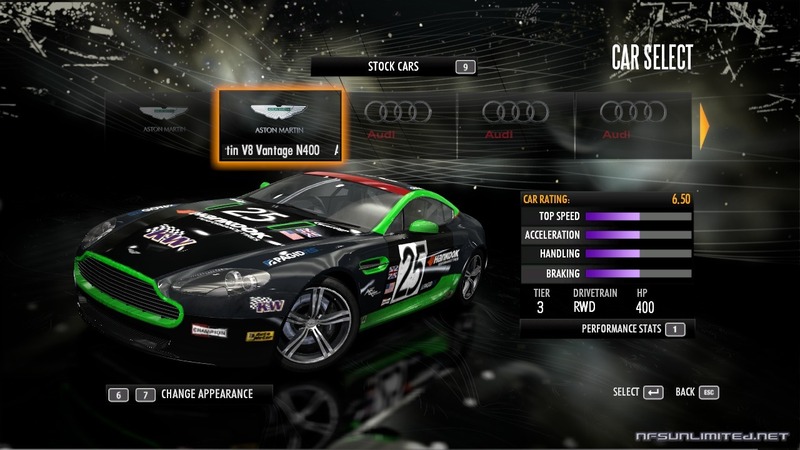 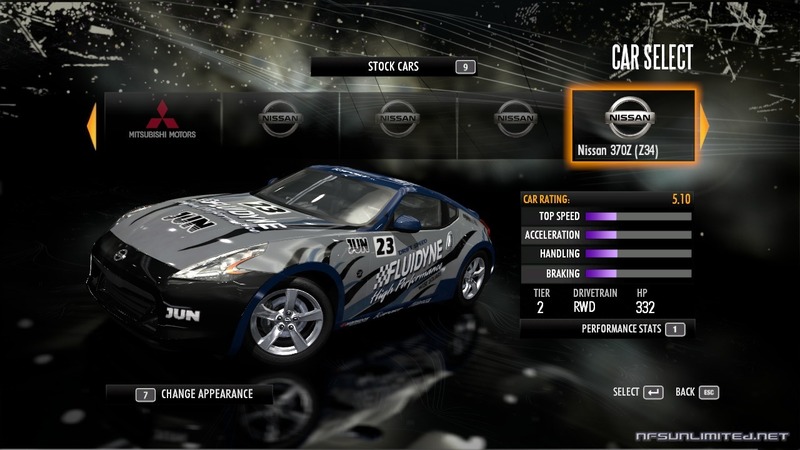 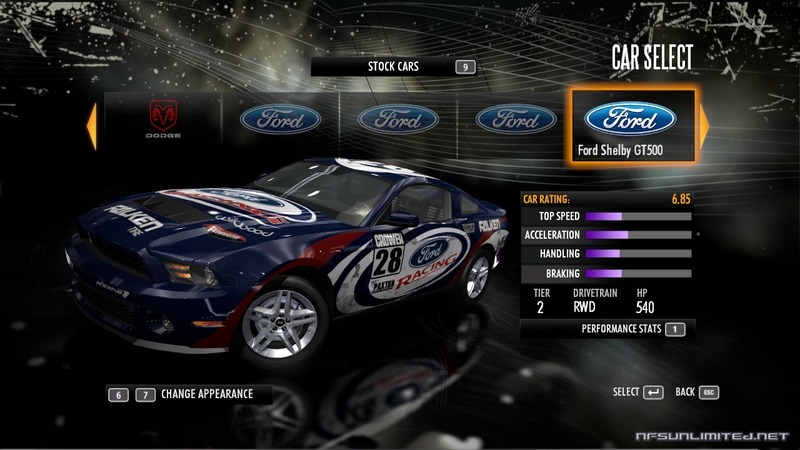 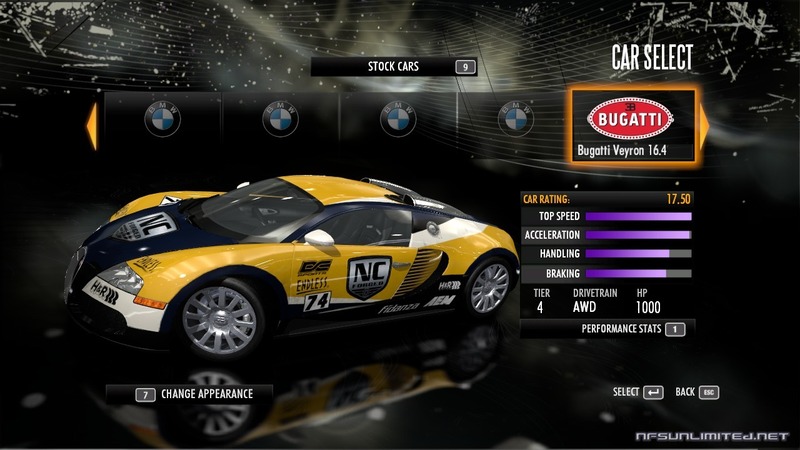 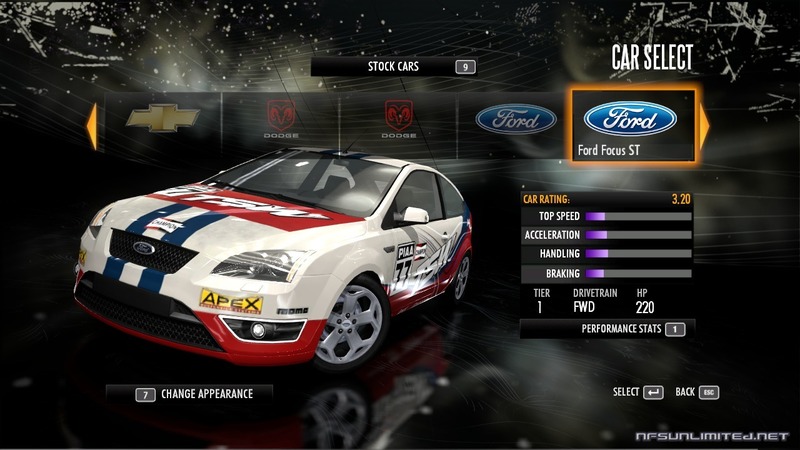 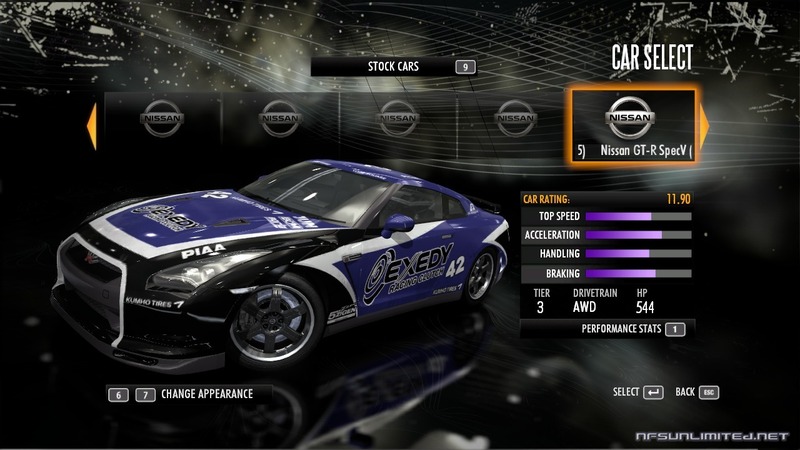 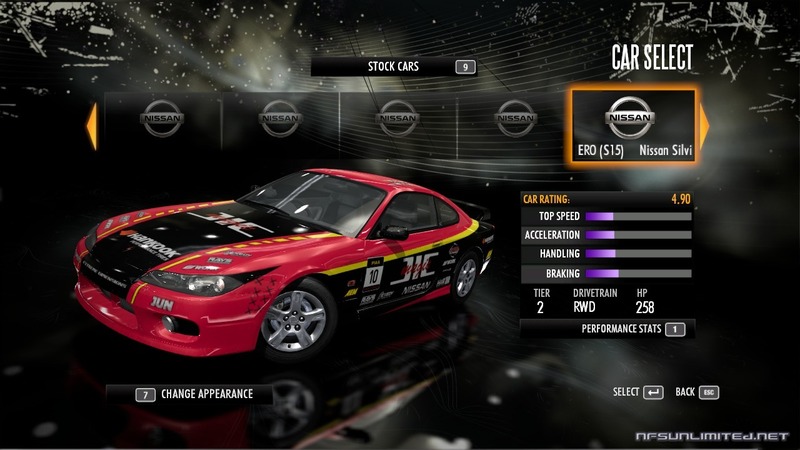 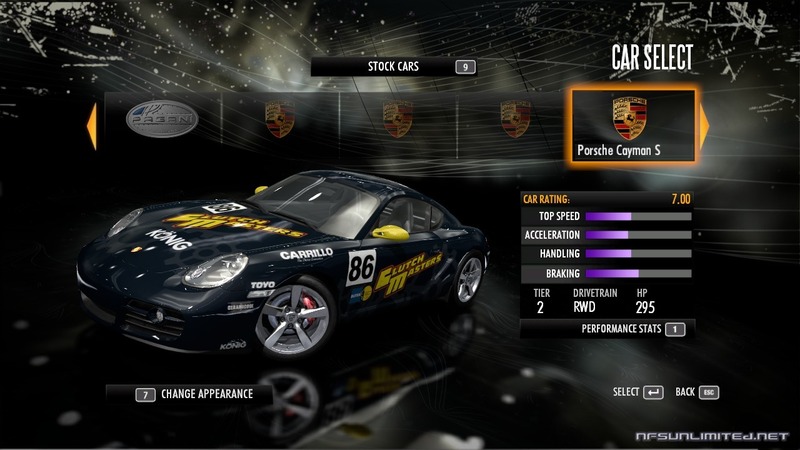 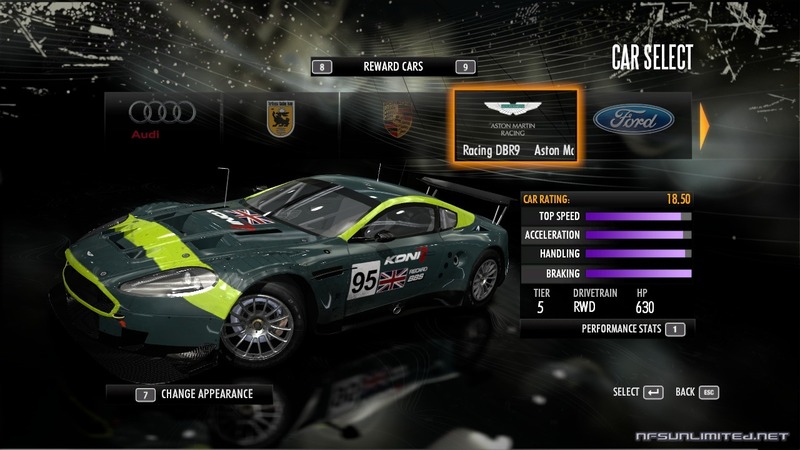 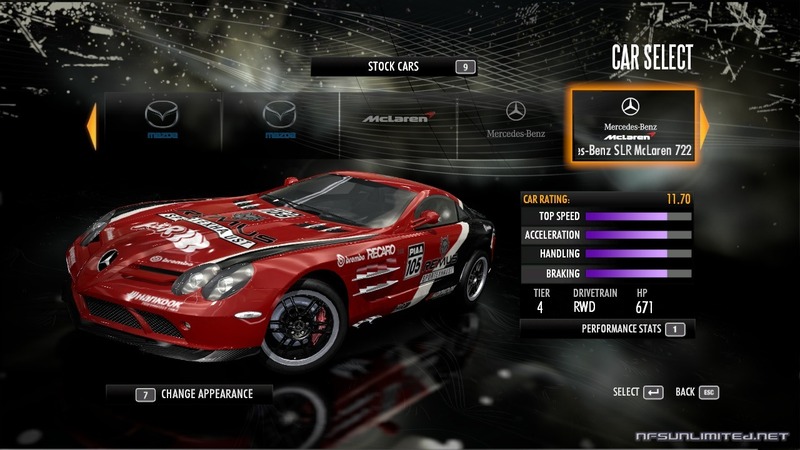 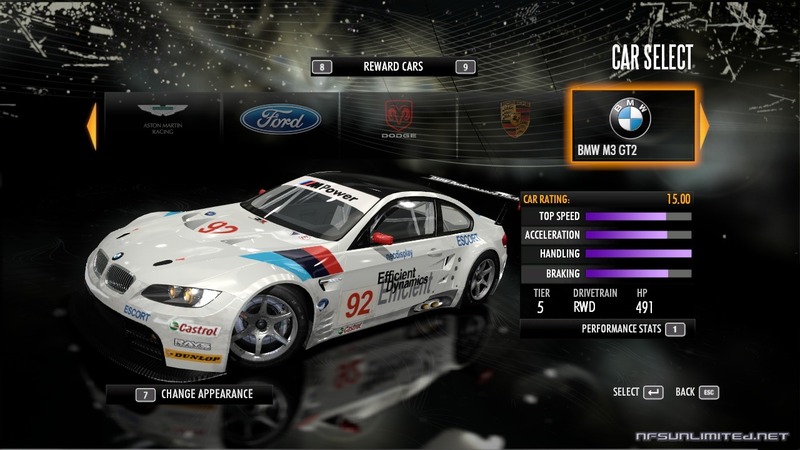 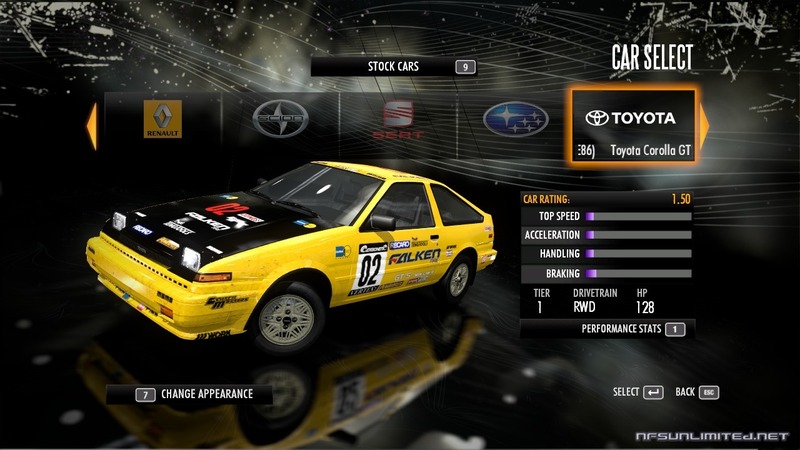 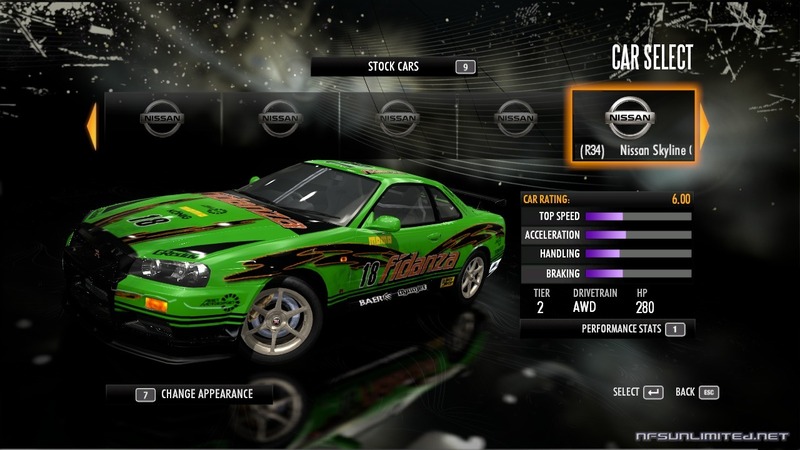 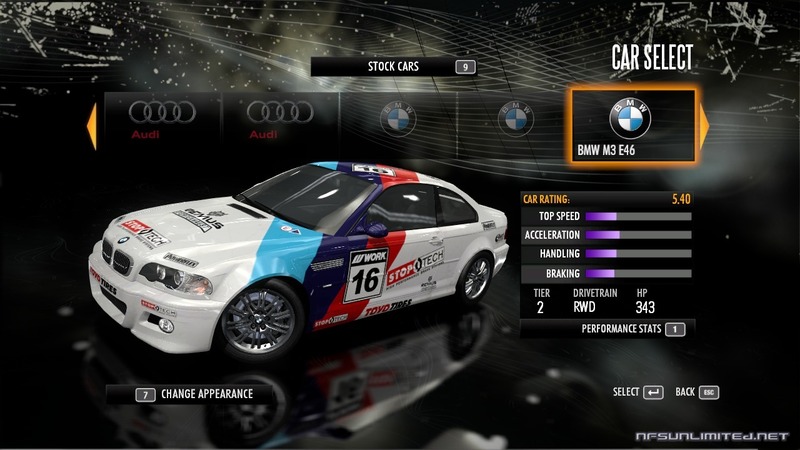 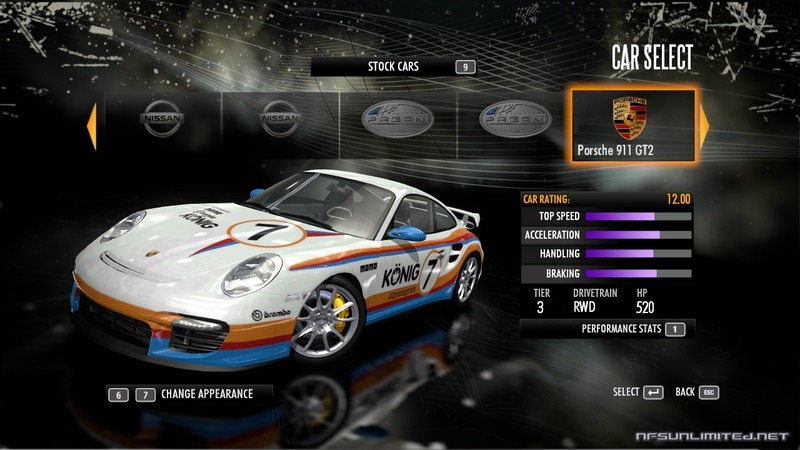 Can only be used in Quick Race and no additional tuning can be performed on these cars. 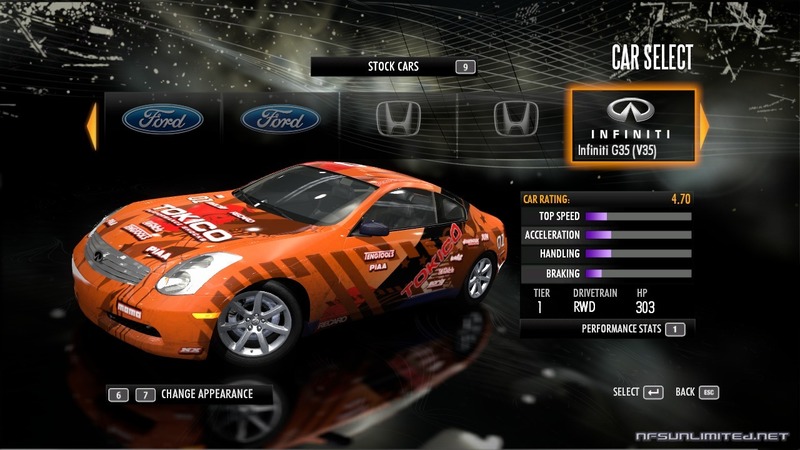 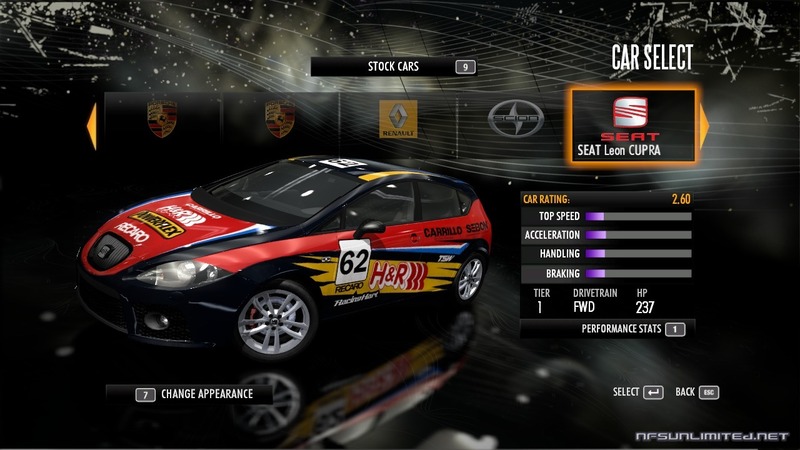 You can only choose between some pre-made liveries and some basic colours before going to the track.